What should you cook on the penultimate day of your Whole30? 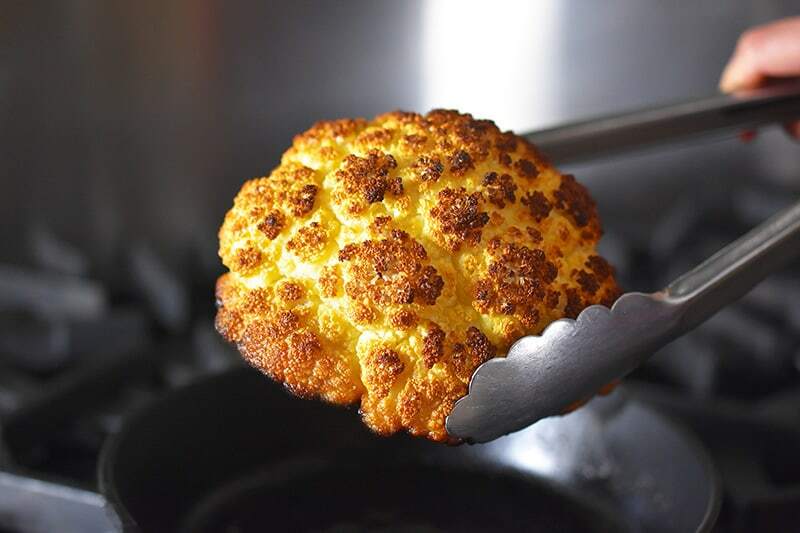 Whole Roasted Cauliflower! 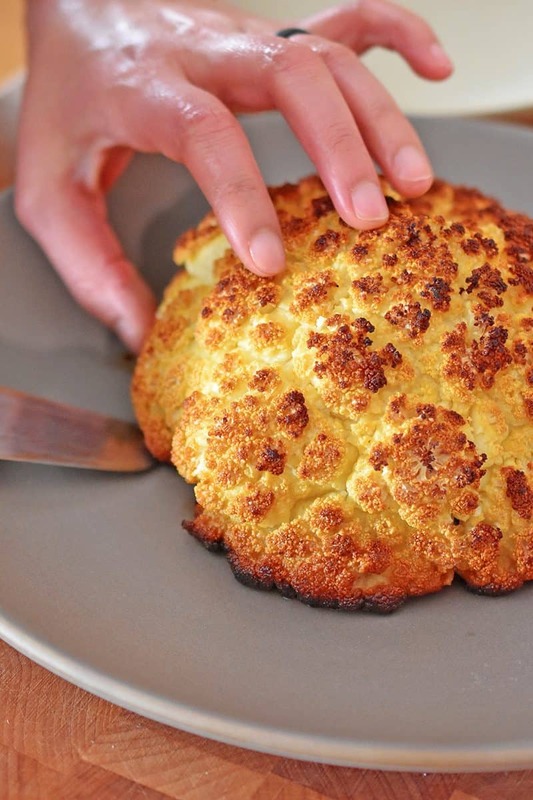 There’s nothing like a beautifully golden-crusted whole roasted cauliflower, people. Tender and almost meaty in texture, this cauliflower isn’t just visually enticing—it’s out-of-this-world delicious. Best of all, it’s cheap, easy to make, and satisfies folks of all dietary stripes—Whole30ers, Paleo peeps, omnivores, vegans, and even my picky kids! By seasoning a whole roasted cauliflower head with just salt and olive oil, you’ll have yourself a blank slate that can be paired with your favorite sauces and herbs. I have a bunch of sauces in my Recipe Index you can choose from, like Arugula Pesto, Leon’s Caper and Anchovy Miracle Sauce, and Tonnato Sauce. 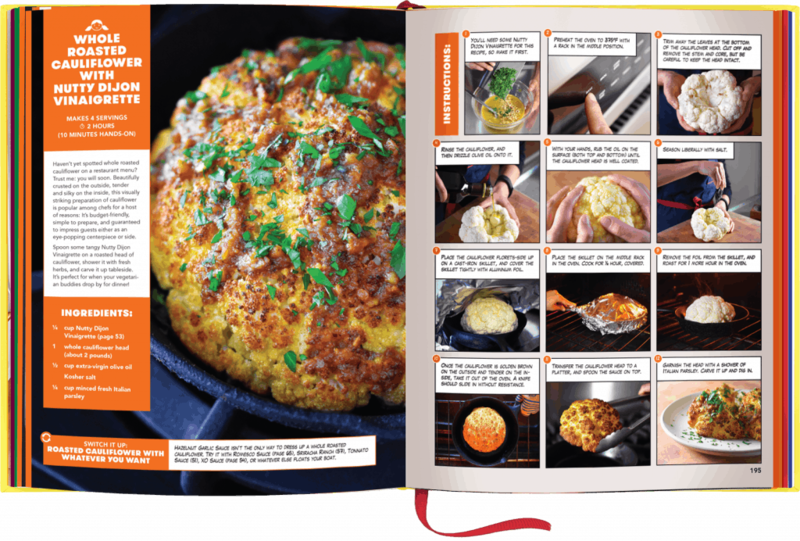 Or even better: Try drizzling a whole roasted cauliflower with the Hazelnut Garlic Sauce from my latest cookbook, Ready or Not! 150+ Make-Ahead, Make-Over, and Make-Now Recipes by Nom Nom Paleo! The warm, nutty flavors are a perfect complement to this incredible vegetable side dish. Don’t you just want to stuff this in your mouth? ’Cause I sure do. Make sure the second to last day of your Whole30’s a winner! 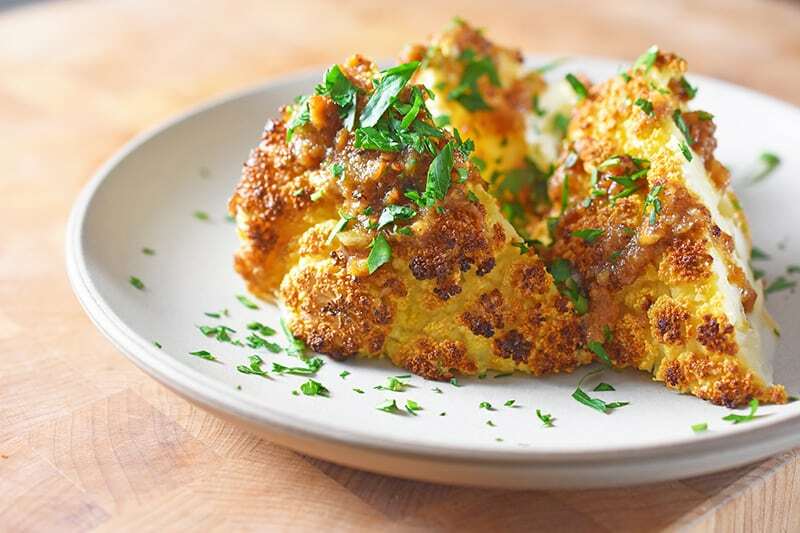 Get the Whole Roasted Cauliflower recipe here and make it tonight!